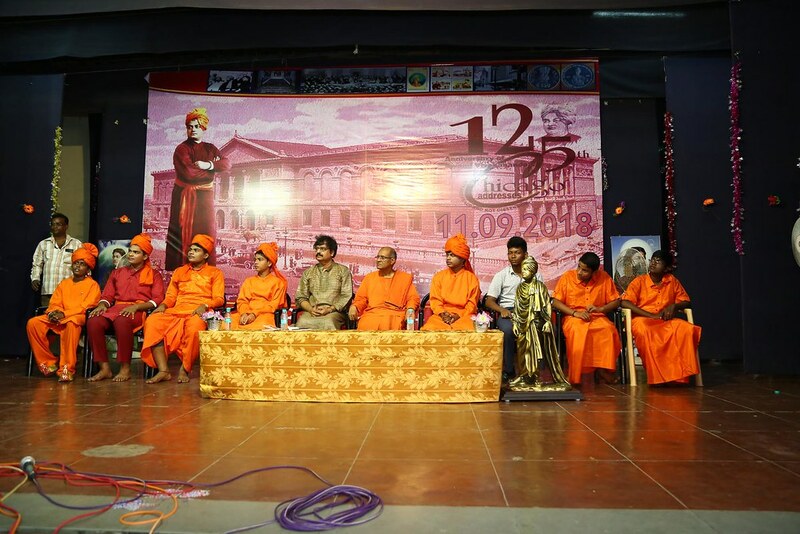 The 125th Anniversary of Chicago Addresses of Swami Vivekananda was celebrated on 11 September 2018 by Ramakrishna Mission Ashrama, T.Nagar, Chennai. The following events were conducted in connection with this historic event. Competitions for School Students in a) Drawing, (b) Recitation, (c) Essay Writing and (d) Oratorical. A procession was organised on 11 September 2018. 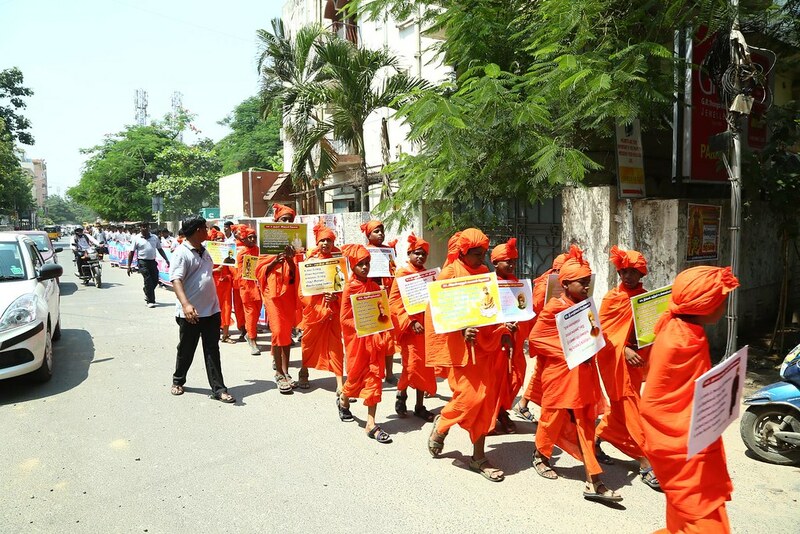 About 125 Students, commemorating the 125th Anniversary of Swami Vivekananda’s Chicago Addresses, dressed up like Swami Vivekananda holding the placards of Swami Vivekananda’s sayings and about 500 students from Ramakrishna Mission Schools, T.Nagar, devotees, staff took part in the procession. After performing the Arati to the Statue of Swami Vivekananda at the Dhandapani-Burkit Road Junction, the procession started at 10.25 am. 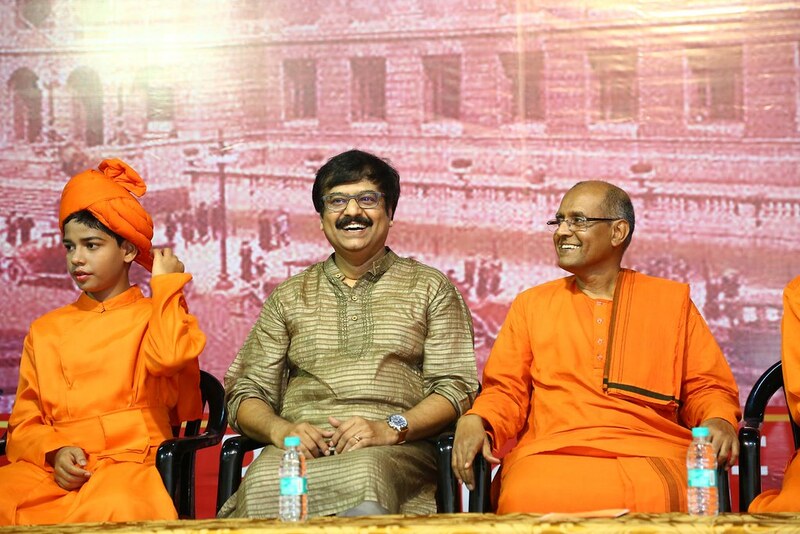 With the Band troop in front, Swami Vivekananda Chariot was followed by the students, devotees and staff members. 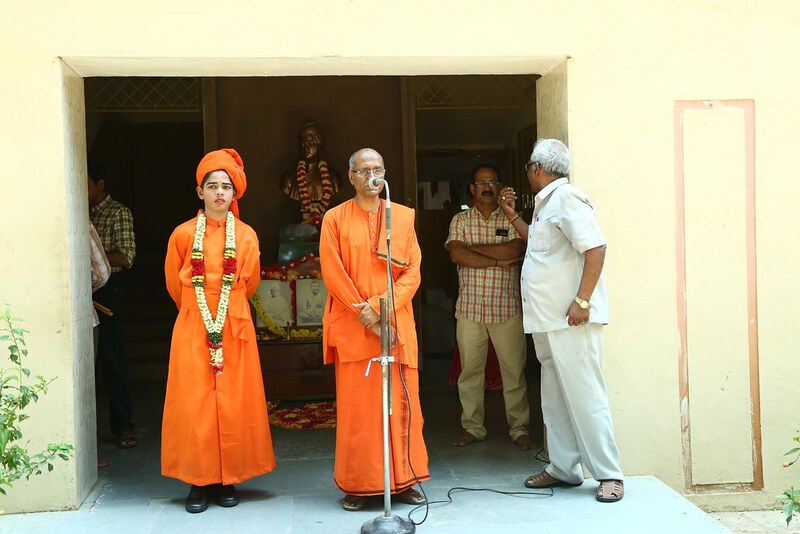 The procession reached Ramakrishna Mission Higher Secondary School (Main) and after performing arati to the Statue of Swami Vivekananda at Main School, the procession reached the Ramakrishna Mission Nursery and Primary School where the arati was performed to Swami Vivekananda. 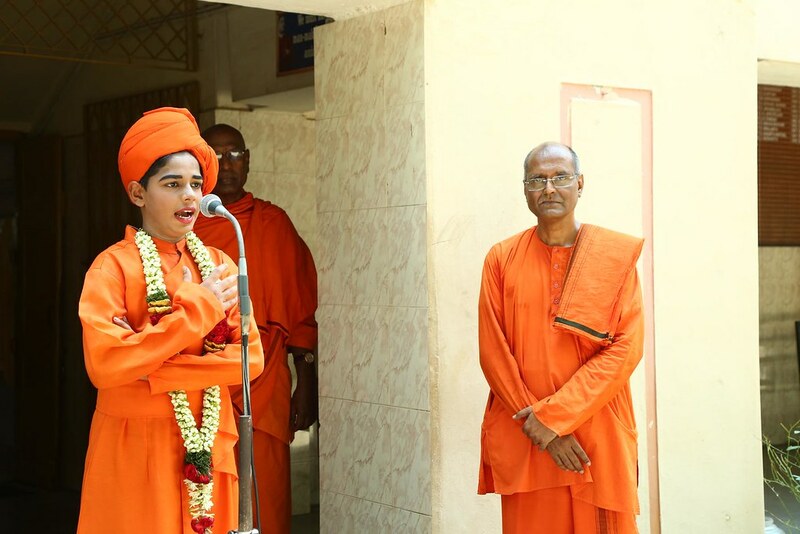 Then the procession reached the Ramakrishna Mission Ashrama where the procession party took rest for 15 minutes and after performing the arati to Swami Vivekananda the procession reached Ramakrishna Mission Matriculation Higher Secondary School and the procession came to an end with the victory slogans to the Holy Trinity. 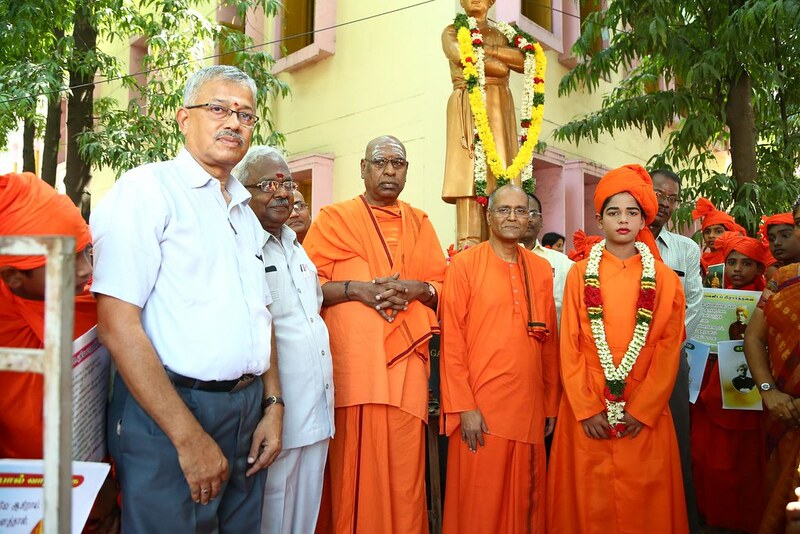 Swami Sarvarupananda, a senior monk of the Order and Swami Padmasthananda, Secretary Ramakrishna Mission Ashrama blessed the students and staff. In the afternoon at about 1.45 p.m. a series of Cultural programmes were performed by our Students of four Schools in connection with this historic event. 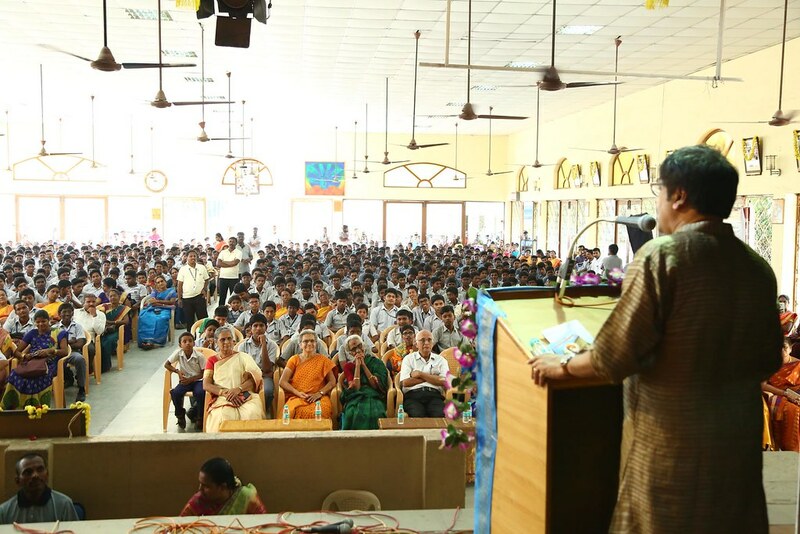 At about 3.25 p.m. to 3.30 p.m. Conch were blown and at 3.30 p.m. Swami Vivekananda’s Chicago Addresses was delivered by the students both in Tamil and English. 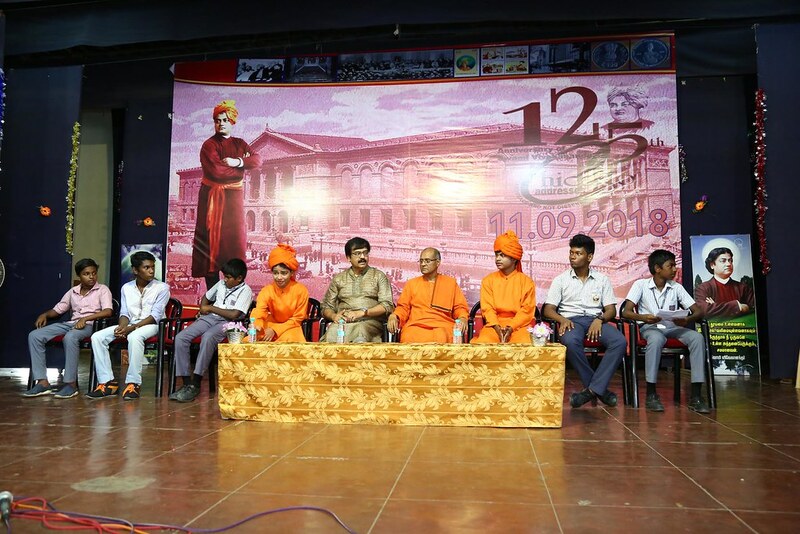 Padmashree Vivek (A. Vivekanandan) participated in the function as the chief guest and in his own style gave a thought provoking address to the students about Swami Vivekananda’s Life and Teachings. 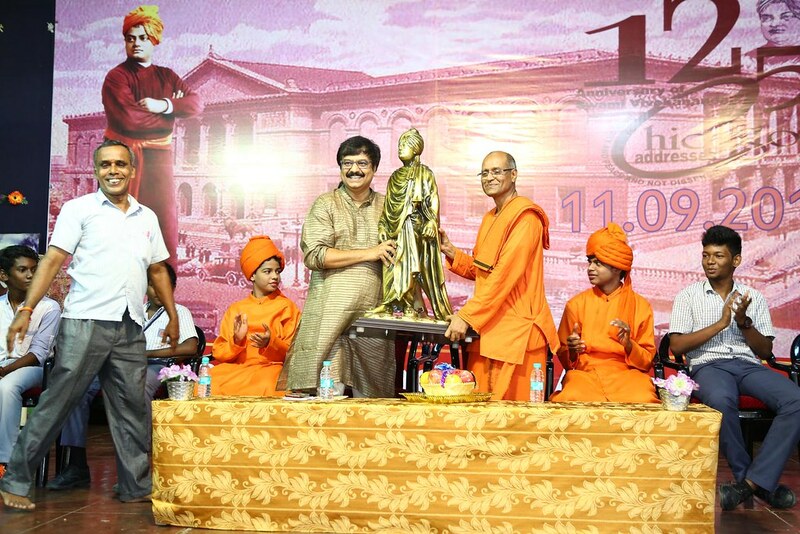 The prizes were distributed to all the winners by Sri Vivek and the meeting concluded with a vote of thanks.